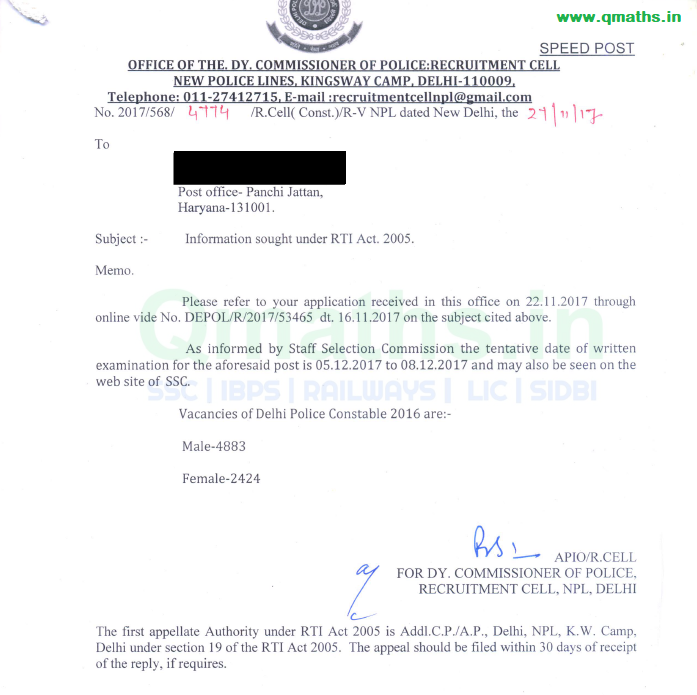 Check below RTI Reply for Delhi Police Constable Exam 2016 by Staff Selection Commission. Male: 4883 & Female 2424 Posts. Stay update here for latest exams updates and analysis.